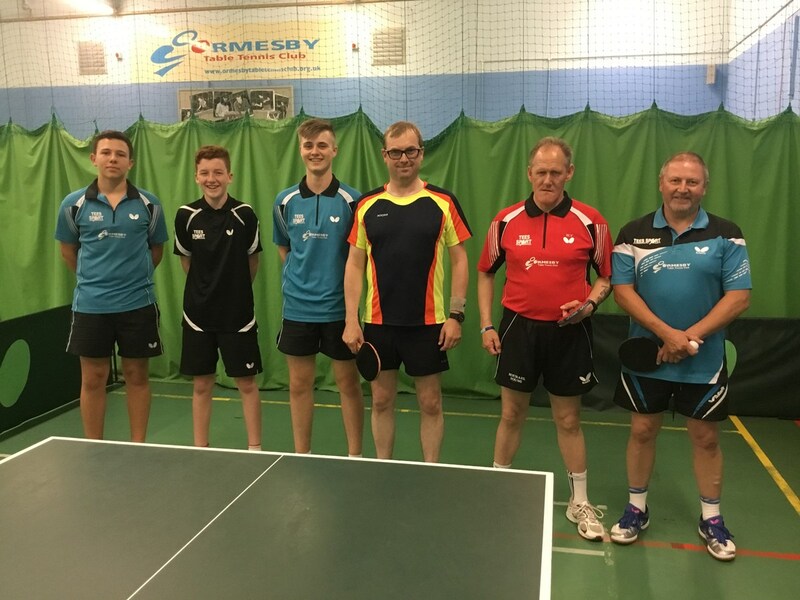 Ormesby B maintained their momentum in their bid to win the 1st Division Championships of the Cleveland & District Summer Table Tennis League last week when they defeated Nunthorpe A by 10-0. Dave Ashwell, Karl Shaw and Michael Young all scored hat tricks for Ormesby in a match that was not as easy as the score line suggests, with most of the sets needing to go to four games. Glen Hodgson for Nunthorpe produced strong opposition as he took as least one game from all three Ormesby players. Below are three of the Ormesby A team players who are currently in second place in Division One, from left to right David Gofton, Joe Cope and George Hill with Carl White, Michael Young and David Ashwell three of the Ormesby B team who are at present the league leaders in Division One. These results puts Ormesby B 23 points ahead of their own A team who are in second place. Although the A team are unbeaten and have three games in hand. One of the teams that normally challenges for honours is Beaumont Nomads Accountancy A dropped six points to their own B team in last weeks fixtures losing by 6-4. This was mainly due to a hat trick from Tony Langley. Nicky Hobson West and Kevin Lindsey won two each for the A team although both won their sets by very narrow margins. These results effectively means that both Beaumont teams are likely to finish mid-table.